There are many great tutorials out there that I've had great use of so now its my time to give something back to the costume community. Bear with my though, this is my first sewing tutorial ever written in English. I learned this method of putting in pockets during my "practical vocational training" at the costume department at Borås City theater. They had learned the technique on a costume class for Lena Dhalström, a costumer that works for Drottningholms Slottsteater. (I've had "practical vocational training" there too and Lena really knows her stuff, I learned so much during the months I spent there). 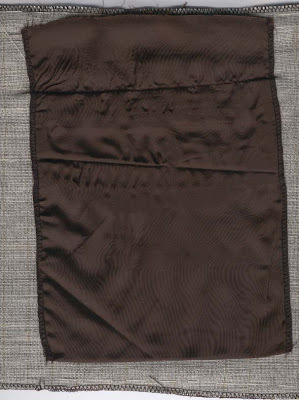 Stitch the fabric piece on to the pocket bag in such position that it will fit over the pocket hole. 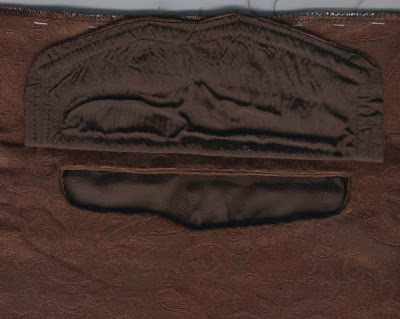 You must have the pocket bag sticking out a couple of centimeters over your marking for the pocket flap. 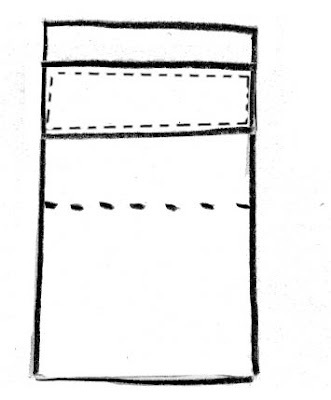 Put your pocket bag and your coat/waistcoat right sides together, mark the shape of your pocket hole on the back side of the pocket pag and stitch through all the layers around the outline. Cut ut your hole and leave 2,5 mm edge. 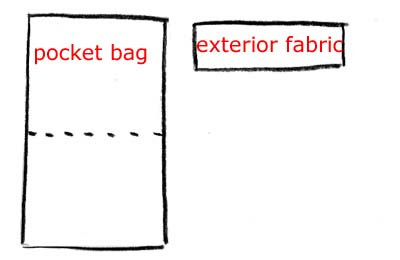 Take your bag and fold it so that at least 2 cm are sticking out over the flap marking (on the backside). Press and pin so it stays there. 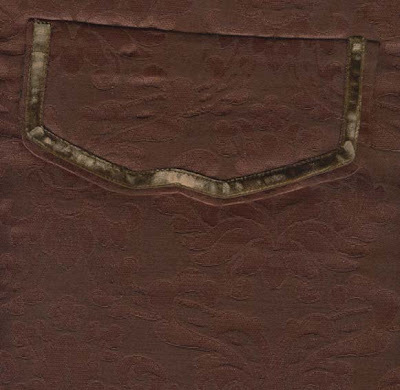 Place your pocket flap right side down and the point upwards, with the seamline on top of the marking and stitch it on though both layers. 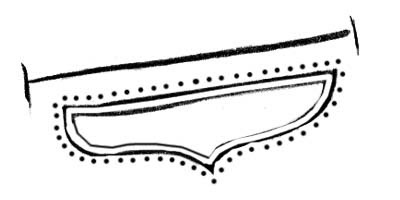 Fold you flap down and stitch down your lining with small stitches to hide the seam allowance . Press and voila you have installed a pocket! Back, the top line is the stitch that's holding both the bag and the flap. Ooooh, thank you, so helpful!